Baby bodysuits or onesies are the baby items which are never enough. We bought lots of them for my boy but they were still not enough, as babies grow fast and need new bodysuits all the time. I am happy to introduce you Silly Souls, the company that offers a wide selection of baby basics and gifts for kids and parents, funny and cool baby bodysuits, sibling rivalry tees, infant and toddler bibs, the silliest socks, the coolest baby shoes and many other funny products bringing that humorous touch we all miss in our everyday life. I absolutely love the black color baby bodysuit for boy I received from Silly Souls. 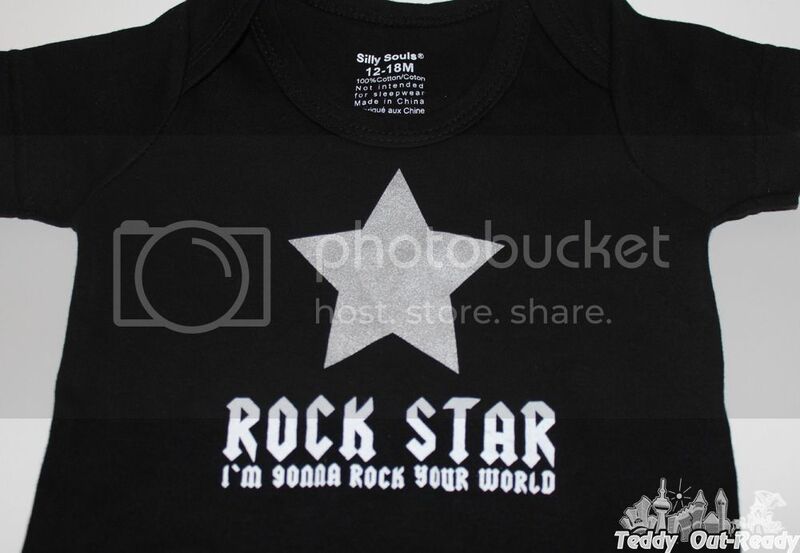 The cute print on front of the bodysuit “ROCK STAR I am going to rock your world” is funny and lovely, as a reminder that every baby is a little Star. Big Silver Star is a nice addition to the print in announcement that Rocker is here to bring the best to this world. Made of 100% cotton (as most of Silly Souls products) this bodysuit is soft and easy to wash. It is comfortable in addition to the unique and stylish design. I also browsed through other items on Silly Souls web site, they are so many products to choose from with really funny messages like “Macho man”, "Dad AKA The Boss" or “Hot Babe”. 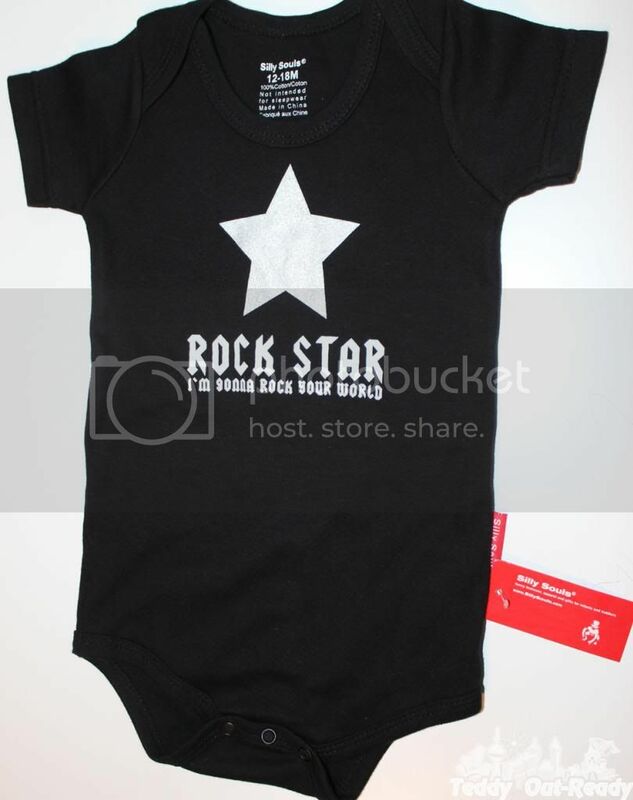 And for little Rockers I found a whole rocking set with rocking socks, hat, bib and shoes! Holiday season is almost here and at Silly Souls you can find unique gifts for babies and kids same as for new parents. And thank you for the offer, our readers can get 25% at sillysouls.com off using code sillyblog valid through 12.31.2013. You can also follow Silly Souls on facebook and read funny stories on their blog. I love that it's 100% cotton and 25% off is a great deal. They have so many great products. Thanks for sharing.